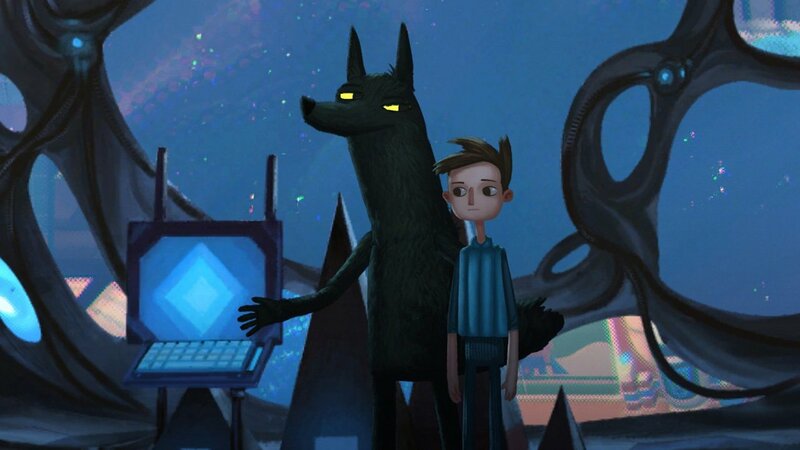 Having finished the second act of Double Fine Productions’ Broken Age, I feel conflicted about its overall success. The project, successfully funded on Kickstarter as a revival of the adventure genre, certainly makes good on its original promise. It provides players with slightly modernized take on a style of game that’s rarely seen nowadays (in the mainstream space, anyway) and does so with the humour and style that has come to serve as Double Fine founder Tim Schafer’s trademark. 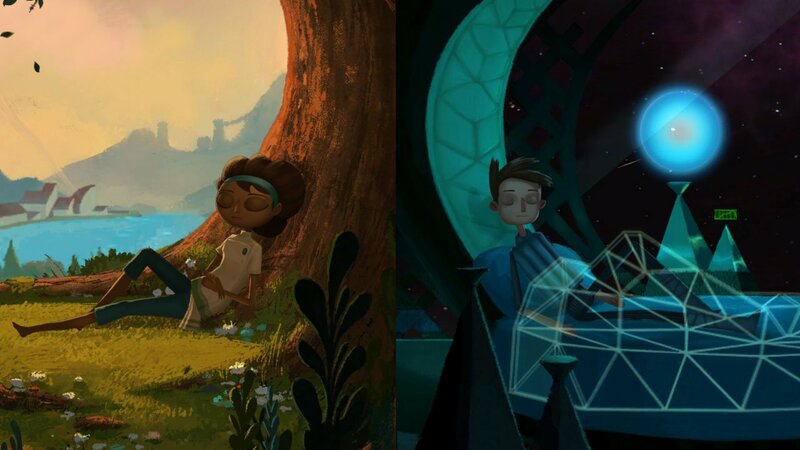 Just the same, as much as Broken Age succeeds as a reminder of the adventure game’s strengths, its finale’s increased difficulty also points out why the genre may have fallen out of favour in the first place. The game’s first act was one of my favourite experiences of last year. The intertwining stories of Shay Volta and Vella Tartine featured a charming and eclectic cast of characters, a great take on the coming of age story, and beautiful storybook visuals. Guiding the dual protagonists through spaceships, coastal towns, and cloud cities was wonderful. Even the puzzles, traditionally an aspect of adventure game design I’ve struggled to enjoy, were simple enough to present a challenge, but satisfying to find solutions to. Apparently a large portion of the audience wouldn’t agree with me that the level of difficulty was spot on, though. The first act of the game was considered too easy by many of its players, according to the episodic documentary series released during the development process. They thought the puzzles were simple; that their solutions were too obvious. 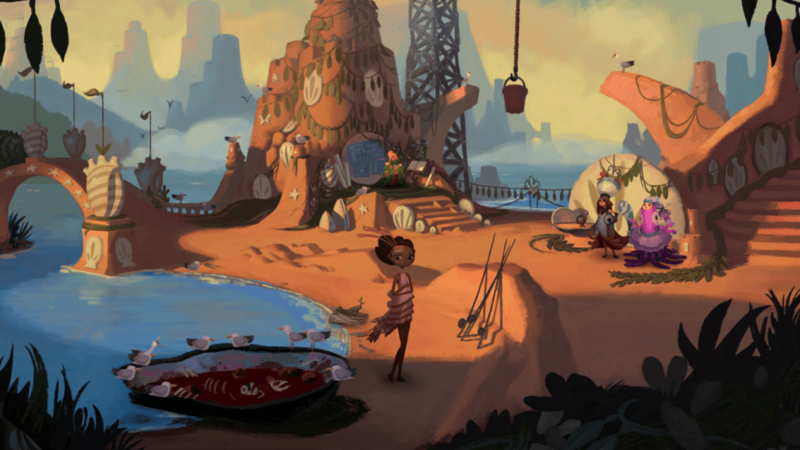 In an effort to correct this, Double Fine amped up the difficulty for Broken Age’s second half, introducing timing elements to some of the puzzles and making the solutions to others far less straightforward. The only issue is that, in attempting to make the game harder, the developer has reintroduced the kind of illogical problem-solving that’s often pointed to as one of the reasons the adventure genre fell out of favour. 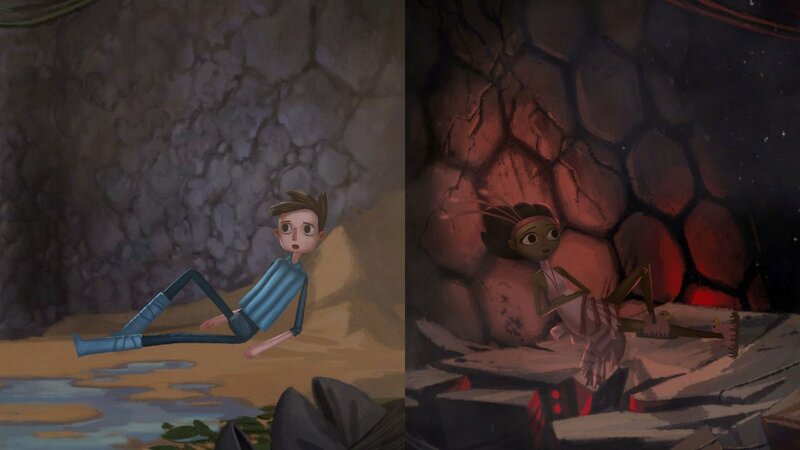 Whereas Broken Age: Act 1 hummed along at a nice pace, its puzzle design helping ensure that players spent a good amount of time seeking out every area of the environments and attentively listening to the dialogue, Act 2 slows down in an unwelcome way. Many of the items needed to progress are so well hidden they’re easy to miss; some puzzles require the audience to interact with the two separate storylines in a way that was never required in the first act; finicky real-time object manipulation means that an ill-timed click may cause the player to think they’re approaching a puzzle the wrong way, even though they’ve already figured it out. This tougher design means that players spend more time banging their head against the game’s design than enjoying its interesting story and charming audiovisual style. I’m sure many adventure game fans love the trickier puzzles of Act 2, but I’m also sure that there are plenty of players who, like me, wished there was a way to turn the challenge down a bit so they could enjoy other aspects of the game. Unfortunately, there’s no obvious way to please both kind of players. Either people (like me) find an adventure too frustrating to fully enjoy its art, music, and writing; or others, who love difficult puzzles, are dissatisfied with an experience that doesn’t challenge them enough. This highlights the inherent problem of difficulty balancing in the genre. Shooters and role-playing games can scale the level of challenge they present by altering player and enemy health metres or changing up how much damage their weapons dole out. In adventure games, where combat is typically either extremely simple or, more often, entirely absent, this kind of alteration can’t be made. The only way to alter difficulty seems to be making the puzzles more or less complicated. And, unfortunately, complicated adventure game puzzles are usually synonymous with illogical, unintuitive solutions. All of this calls into question the idea of the genre returning to the medium’s mainstream. If it’s impossible to please players of all types, it’s also impossible to attract the attention of a wider audience. It’s not that the format of the adventure genre—exploring environments, listening to dialogue, and solving puzzles—is incompatible with modern videogames, but that serving all kinds of players is a losing proposition. It seems a better idea to either cater to the die-hard, niche adventure fan with difficult, traditional-style puzzles or, like Telltale Games, to forego that audience’s concerns by focusing completely on the other elements of the genre that appeal. 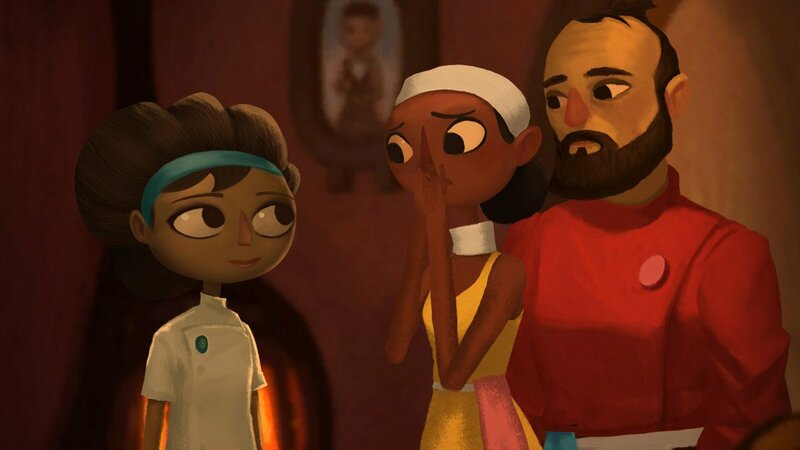 Double Fine Productions, by trying to cater to both groups with two wildly different acts of the same game, has only made Broken Age a painful reminder of how tough it can be to make the adventure genre’s difficulty a good fit for everybody.